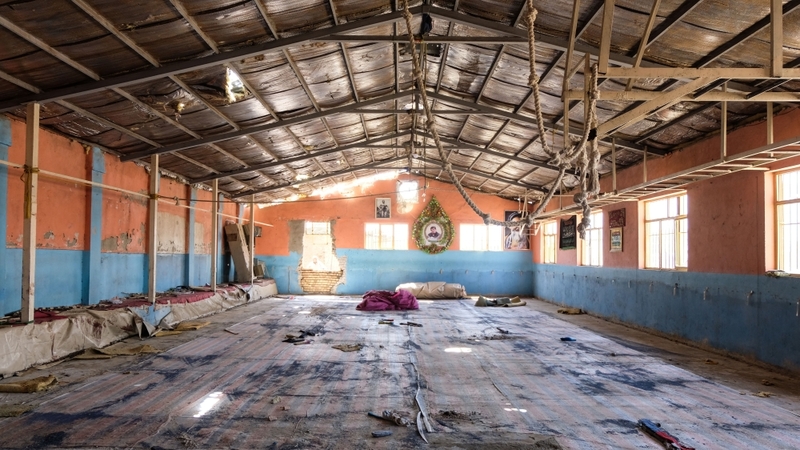 Kabul, Afghanistan – On Wednesday, September 5, the sun was just beginning to set over the Dasht-e Barchi neighbourhood in western Kabul when a young man approached the Maiwand Wrestling Gym with haste. Ahmad Zia, who works at the gym, saw the clean-shaven 20-something on the feed of one of five security cameras. “I had never seen him before, and he was charging in,” said the 27-year-old. Zia grabbed a walkie-talkie and tried to alert reception, but it was too late. The man had already made it past the entrance to where dozens of people were lifting weights and going over wrestling drills. Seconds later, there was a loud boom. The man was a suicide bomber who had been sent by the Islamic State of Iraq and the Levant (ISIL, also known as ISIS) to stage yet another attack on the Shia neighbourhood. Just like that, a decade-old institution of Dasht-e Barchi came crashing down as dozens of sportsmen – young and old – laid on the plastic mats, many clinging to life, and others already dead. There was shrapnel and blood everywhere. According to TOLO News, at least 21 people were killed. The attack highlighted the threat posed by forces aligned with ISIL. Unlike the Taliban, ISIL does not claim to target just the Afghan government or foreign targets. They are targeting civilians. Since last October, ISIL has claimed responsibility for attacks on mosques, a Pashto-language TV station, a centre that distributes identification and voter cards, journalists reporting on an earlier bombing, a centre to prepare people for the national college entrance exam, a cultural centre and a midwife training centre. Almost 150 people were killed in these attacks, several of which targeted Dasht-e Barchi, an area with unpaved roads and poor electricity. “We used to boast that we were the most secure area of the city, that we were too focused on bettering ourselves through education and athletics to fight, but look at us now,” said Mohammad Rahim, who used the wrestling gym. Other residents say they are afraid to gather in groups of even two or three at a time. Esmael, 34, runs a small corner shop less than a kilometre from the gym, where many of his friends had worked out over the years. He was relieved to find out that none of them were present during the bombing, but worries that feeling won’t last. “There is a fear among all of us that we could very well be next,” he told Al Jazeera. Another young man said many of his friends are left with a sense of guilt and dread as they leave the neighbourhood to work and school, while their parents sit at home in one of the most dangerous areas of the Afghan capital. 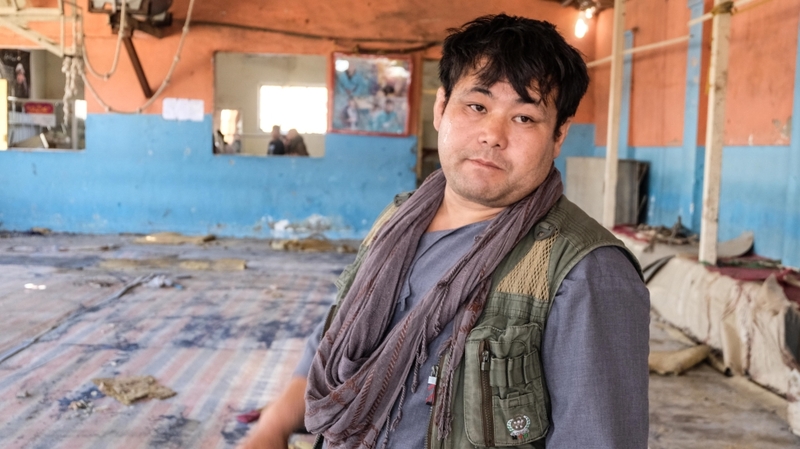 Esmael’s family hails from the Eastern province of Maidan Wardak, where there is a significant Taliban presence, air raids and reported abuse by local groups allied with US forces, and yet these days he feels just as at risk in Dasht-e Barchi. Esmael says the sorts of places ISIL is targeting has forced his family to change every aspect of their lives. Every decision, every outing, must be weighed against potential risks. Shortly after the gym bombing, his family was invited to an engagement celebration in a brightly-coloured, multi-story wedding hall. Esmael tried to persuade his family to forego the party, but his wife and children insisted that they would not be robbed of the few moments of joy that come their way. “So we went, but almost everyone left as soon as the food was served, no one could bear the risk of staying,” he said as his six-year-old son Sohal looked on. 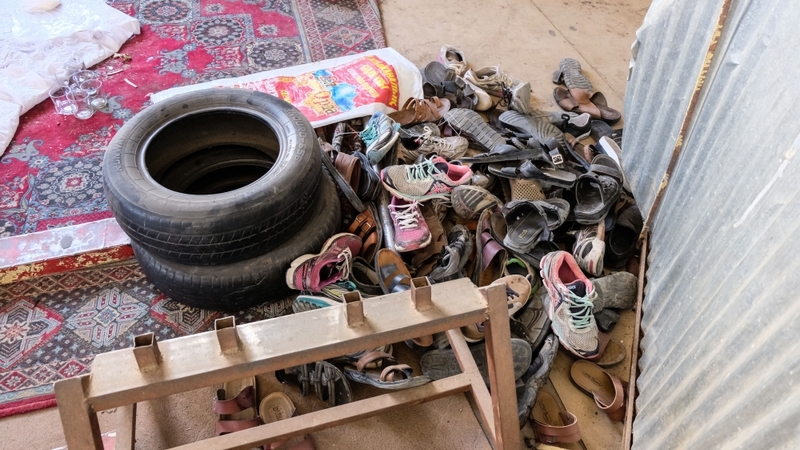 For many people in Barchi, the string of attacks has left them with no choice but to demand that the government hand over security to the area’s residents. “No matter where you are in the country, it’s clear that the government has failed to protect the Afghan people. Now, we in Barchi must take matters into our own hands,” said Ahmad Zia, the gym employee. The goal, said several residents Al Jazeera interviewed, is for the government to hand legal guns, uniforms, and rights to the people of Barchi so that they can defend their own people. “I want to tell the president and the chief executive to come out from behind their walls and see what their people must face on a daily basis,” said Zia. He sees the giant concrete walls towering over Afghan government buildings, military installations and foreign embassies as the clearest embodiment of Kabul’s misplaced priorities. With Ashura, a Shia festival, fast approaching – the two-day celebration begins on Thursday – Barchi residents say they need to be allowed to protect themselves immediately. The neighbourhood is preparing for festivities. Black red and green banners with “Ya Hussein” scrawled across them hang from buildings, motorbikes, children’s bicycles and giant posts that arch above roundabouts. Devotionals play from cars and shopfronts. 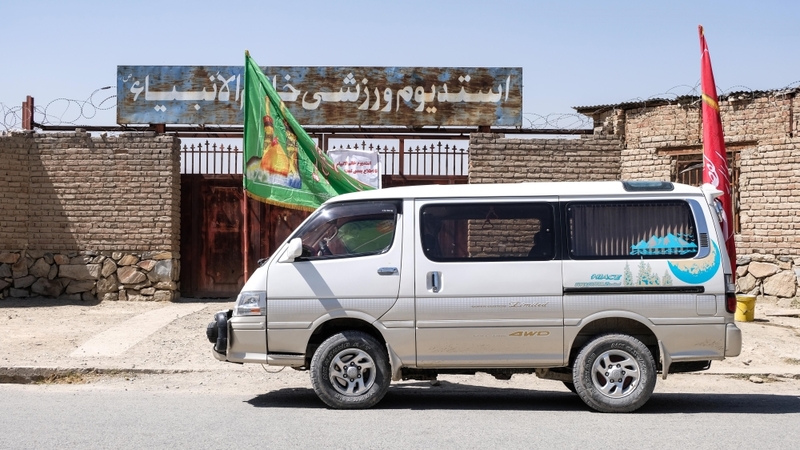 Syed Habib, 35, is part of a group of 500 men in Dasht-e Barchi who are authorised and armed by the government to protect the area’s 100 mosques in the period leading up to Ashura. He believes this model should be expanded to all corners of Barchi. He acknowledged that the uniforms may put them more at risk, but said he was willing to accept that danger. Whenever there’s an attack we have to call and see who was martyred. Sometimes we know the people, and sometimes we don’t, but honestly, that doesn’t matter. They’re Hazara. They’re Shia. They’re Afghan. They’re Muslim. They’re our people. The call to self-arm sidelines the two leading Hazara figures in Afghan politics, Mohammad Mohaqiq, current second deputy to the office of the Chief Executive and Karim Khalili, former second vice president to President Hamid Karzai. All of the residents Al Jazeera spoke to said they are fed up with Mohaqiq and Khalili’s “political games”. “They can’t protect us. They won’t protect us, why should we rely on them?” said Zia, the gym worker. Government officials have, however, started to address the Barchi crisis. The day after the gym attack, Hamdullah Mohib, the newly appointed national cecurity adviser to President Ashraf Ghani, met residents. “Our people have suffered tremendously and the specific targeting of #Hazaras will not be tolerated,” he tweeted after the visit. “While I extend my sympathies and condolences to the victims and families, I know what they want is action to end this cycle of vicious attacks. And on Tuesday, the Afghan intelligence agency said it has arrested 26 suspected ISIL fighters in Kabul – there had been fears after the gym bombing that up to 15 ISIL fighters were hiding in Barchi. Still, for the people of Barchi, help can’t come fast enough. “Whenever there’s an attack we have to call and see who was martyred. Sometimes we know the people, and sometimes we don’t, but honestly, that doesn’t matter. They’re Hazara. They’re Shia. They’re Afghan. They’re Muslim. They’re our people,” said Mohammad Rahim, the athlete, as he stood in the middle of the wrestling ground where his friends were killed.